After experiencing a bizarre dream, Madoka Kaname, a 14 year old girl, is shocked to find the same girl from her dream, named Homura Akemi, enrolled to her school. But after school, Madoka and her friend Sayaka encounter a magical creature named Kyubey (aka Incubator) who offers them a contract: To become a magical girl in fighting witches, evil entities that attack humans on certain occasions, in return for a wish. 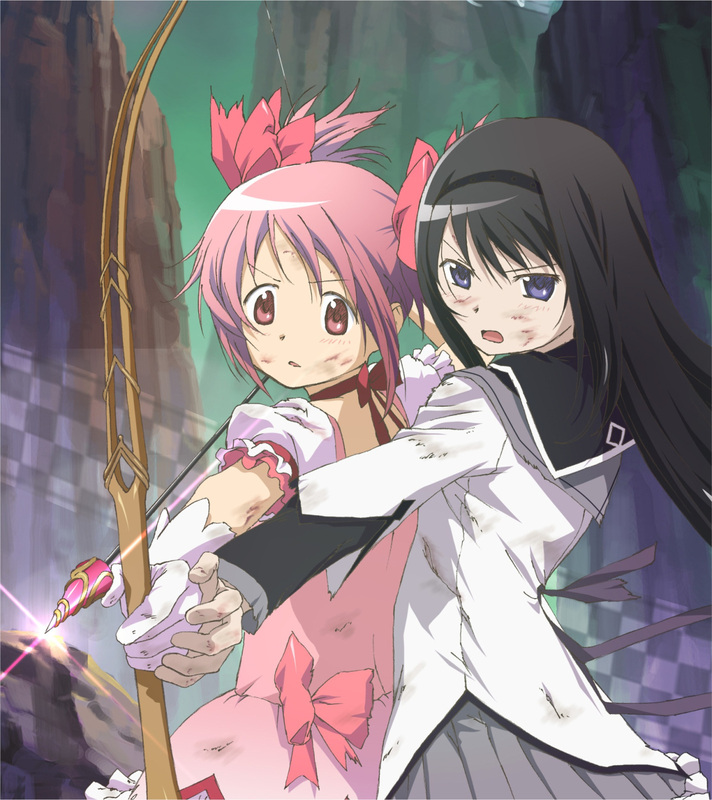 However, that's when Homura appears wanting to kill Kyubey, and is determined in preventing Madoka from becoming a magical girl. Later, they meet an actual magical girl named Mami Tomoe who befriends them and often brings them along to see Mami herself fight witches, encouraging them to become magical girls as well. Caught between two choices, which will Madoka choose? To become or to not become a magical girl?